The philanthropy work of Zambia’s First Lady Mrs. Esther Lungu is increasingly gaining international traction and goodwill with more and more organisations seeking to partner with her Esther Lungu Foundation. 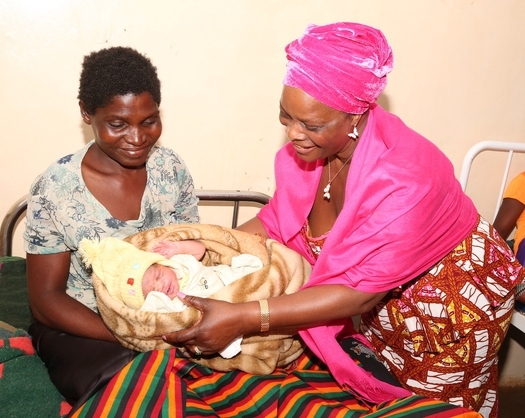 The latest to be netted into the proverbial ‘gravy train of goodwill’ life-saving work by Mrs. Lungu’s work is the University of Ljubljana, Faculty of Medicine. According to a statement issued by First Secretary Press at the embassy of Zambia in Berlin, a group of junior medical Doctors calling themselves ‘Humanitary-Medical Zambia 2019’ have reached out to the Office of the First Lady Mrs. Lungu. “They have collected up to 250 Kgs of assorted medical equipment such as syringes, masks etc., which are scarce in some rural areas of Zambia and asked Ambassador Anthony Mukwita to route the dear donations via the First Lady’s great Foundation to help save lives,” the statement reads. Ambassador Mukwita has officially made a humble request to the Esther Lungu Foundation to partner with the university to get the medical equipment where it is needed. The ‘superstars’ in the entire story according to Ambassador Mukwita are five junior doctors that went to great lengths to selflessly collect the equipment. Their names (in picture flanking H.E Mukwita) Klara Grad, Petra Gregorc, Ushkar Intihar, Andraz Krasevec and Tomaz Sindicic. The medical faculty of infectious diseases in Slovenia has been sending young Doctors to Nangoma for the last two decades after establishing the relationship via a Slovenian priest who still lives in Zambia’s Mumbwa area. H.E Mukwita who is also Ambassador to Slovenia was accompanied by spouse Mrs. Elaine Mukwita and Honorary Consul Mr. Damian Zonta, a Slovenian businessman with a ‘big heart’ for Zambia. H.E Mukwita said this donation could mean the start of a ‘great relationship’ between the First Lady and the university further describing the donation as “priceless”. Mrs. Lungu’s charity work has reverberated to several corners of the world and has earned her a good name as it helps lift the poorest of the poor mostly in Zambia.